By Danielle Zickl | An expert explains why it's not a quick fix. If you’ve spent more than a second on the internet, you’ve probably seen an Instagram post, health story, or Facebook status update going on and on about the wonders of apple cider vinegar. ACV, as its fans refer to it, has been touted as an acne cure, dandruff remedy, and sunburn soother. And some research suggests that drinking apple cider vinegar can help you lose weight, which is why people are adding it to tea, smoothies, or even just drinking it solo. For those unfamiliar with apple cider vinegar, it’s simply apple cider with yeast added to start the fermentation process. It’s most often taken by adding two tablespoons to water, although some people do take it in shot form. But can a shot of apple cider vinegar actually help you burn fat? We asked the experts to find out. There is some evidence that acetic acid can be good for weight loss, since it targets body fat, explains Carol Johnston, Ph.D., R.D., associate director of the nutrition program at Arizona State University, who has done extensive research on the subject. When you consume small amounts of acetic acid through apple cider vinegar, it activates your metabolism to help your body use fat as a form of energy rather than storing it, Johnston says. In one study, obese rats that were fed high-fat diets lost a significant amount of body fat when acetic acid was added to their food. In another study published in the journal Bioscience, Biotechnology, and Biochemistry, people lost an average of four pounds in 12 weeks after consuming one to two tablespoons of diluted apple cider vinegar daily. The acetic acid in vinegar can be beneficial in other ways, since it may help control your appetite, says Johnston. Apple cider vinegar has been shown to be most effective when paired with a diet full of starchy foods, as the acid slows down the digestion of starch. This could potentially assist dieters, because slow digestion keeps you feeling fuller, longer. There’s also some evidence that drinking apple cider vinegar before a starchy meal could help keep your blood sugars stable, making you less likely to crave sweet snacks. But does apple cider vinegar actually work to help you lose weight? Johnston says it’s worth trying — provided you’re not looking for immediate results. “Vinegar is not a magic bullet for weight loss. I have seen very modest weight loss in my studies, of one to two pounds after 12 weeks,” she explained to the Washington Post. Additionally, there’s a lot of hype on health blogs and messages boards about unpasteurized vinegars, which still contain the lump of bacteria and yeast (the “mother”) that forms during the fermentation process. While most brands filter the mass out, others include it, believing it could enhance apple cider vinegar’s health benefits; but no studies have supported this idea. 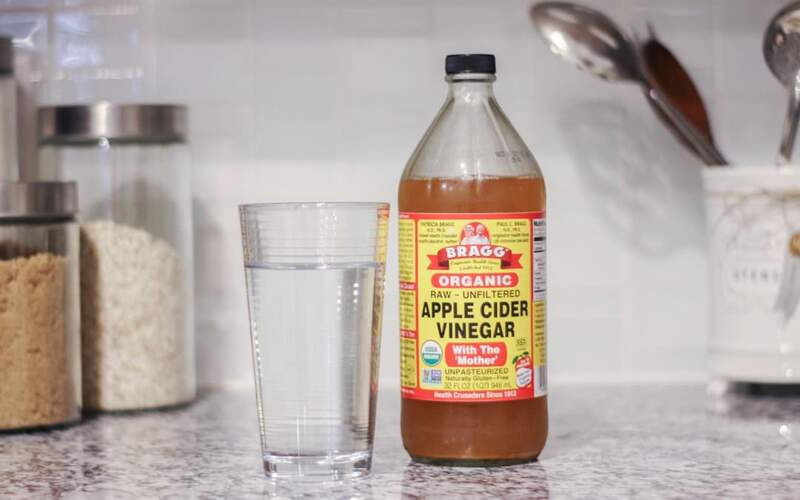 To sum up: Apple cider vinegar is not a magical weight loss solution, and experts agree you’re much better off changing your diet and exercise routine than taking shots of vinegar. Posted by Above Whispers on June 25, 2018.